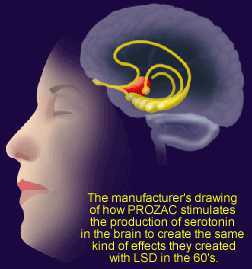 I agree that antidepressants aren't as effective as supposed. But does the magnitude of the placebo effect itself deserve a critical re-examination? “Alternative methods rarely carry the official stamp of approval, but in spite of this more and more people are turning to this sector for help. This is of course a matter of concern to established medicine which has no ready explanation why its share of the market is diminishing. The idea that alternative methods actually yield good results is mostly avoided. Instead recourse is to a seemingly obvious explanation, namely that all the positive effects claimed to have resulted from alternative treatments are simply placebo effects”. “Here, certain rules that have become established since the middle of the 20th century are being exploited. It is regarded as self-evident that a method of treatment should be demonstrably better than placebo in order to become officially approved. Clinical judgment or other informal ways of sifting evidence are not accepted”. “Accordingly, placebo is not the strong factor it has long been believed to be (and) quite a lot of rethinking will be required”.